Raised in Southern California, Bill Bensley attained a scholarship and enrolled in Cal Poly Pomona’s Landscape Architectural Program. He won the American Society of Landscape Architects (ASLA) top student in the USA Award and went to Harvard University. He attained a Masters Degree from Harvard in Architecture and Landscape Architecture and was lectured by the famed architect Moshe Safdie. After graduation, Bill was invited by his classmate and designer Khun Lek Bunnag to teach in Singapore. Bensley also worked for an American company which was based in Singapore and Hong Kong. He eventually relocated to Thailand and established Bensley Design Studios in Bangkok which specializes in exotic luxury resorts. “We pride ourselves on our attention to every detail, from the architecture and gardens down to the napkin rings and signage,” he expressed in relation to his firm’s commitment. This Four Seasons Resort is located on the Kona-Kohala Coast of the island of Hawaii. 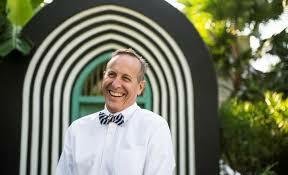 Bill Bensley designed the landscape architecture and the resort was designed by Hill Glazier Architects. Bungalows are linked by landscaped paths around pools. Views of the Pacific Ocean and the island of Maui can be seen on the horizon. It was opened in 1996. For years Four Seasons Resort Hualalai has been AAA Five Diamond rated resort. In an interview with Prestige Magazine, Bensley recounted about his first important job when a Harvard graduate contacted him. 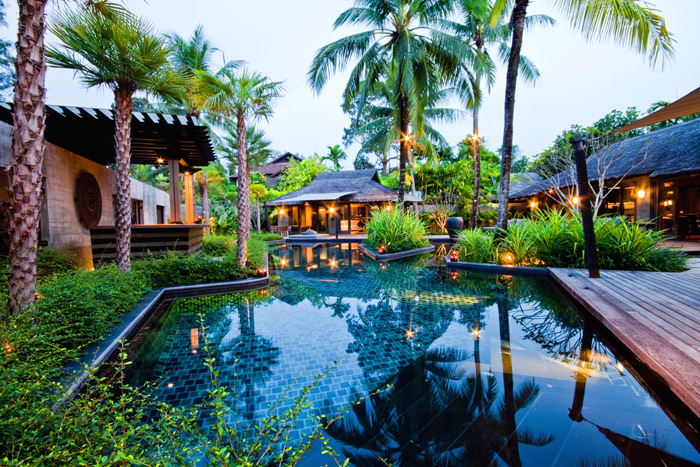 The Four Seasons Chiang Mai is one hour flight from Bangkok. It is designed with vaulted ceilings and covered verandas. There are 98 spacious pavilions and luxury villas in Chiang Mai featuring polished teak floors, rich Thai cotton decorations and beautiful Siamese artwork, under cooling overhead fans. The one-bedroom villa is described as a “private home” rather than a guest room ”. It offers a large private pool with views of the Doi Suthep mountain range and tropical gardens. The resort residences are located in three and four-story buildings influenced by traditional Thai-Burmese temple architecture. There were other architecture firms who worked on this project including Bensley Design Group Studios. It opened in 1995 and was rebranded as Four Seasons Resort Chiang Mai in 2003. Four Seasons Tented Camp in Chiang Rai is located in Northern Thailand and was opened in 2006. It is surrounded by the exotic jungles of Chiang Rai province. It has the feeling of entering a past era upon arrival in the Golden Triangle, where Thailand, Laos and Burma meet. This is where Four Seasons offers its first and only Tented Camp experience. 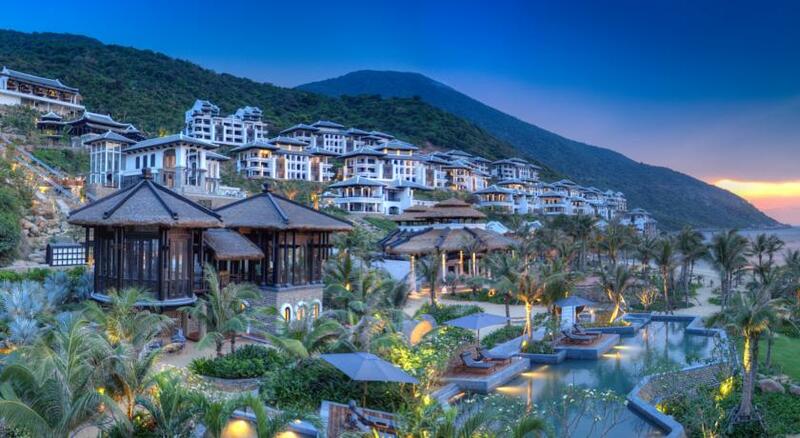 Danang Sun Peninsula Resort, a new InterContinental property is also referred to as InterContinental Danang. It overlooks the pristine beaches of Son Tra in Central Vietnam. Inspired by nearby temples, Bill Bensley filled the 197 rooms, suites, and villas with traditionally crafted touches, including carved panels of merawan wood, richly embroidered silks, and custom-made ceramic tiles. Open-air lounge pavilions and infinity pools afford sunset views. Bensley converted the hill into a captivating Vietnamese village during French colonial rule. “We wanted to create a seaside village that was perhaps built at the height of the French occupation. You will see that the guest rooms are clearly Vietnamese, while the specialty restaurant, La Maison 1888, is clearly French, and is meant to have been built in the year 1888. The grass roofs of the beach restaurants are meant to be of a “poorer” local vernacular architecture,” he stated. Indigo Pearl is located in Phuket Thailand. Indigo Pearl is a striking, reminder of the beautiful environment and the past. The site of Indigo Pearl was a tin mine in the 1930’s and the owning family is 3rd generation miners. In tribute to the owner’s ancestry, Bensley used tin mining as a unique and personal source of inspiration in his designs. It opened in 2006. The. 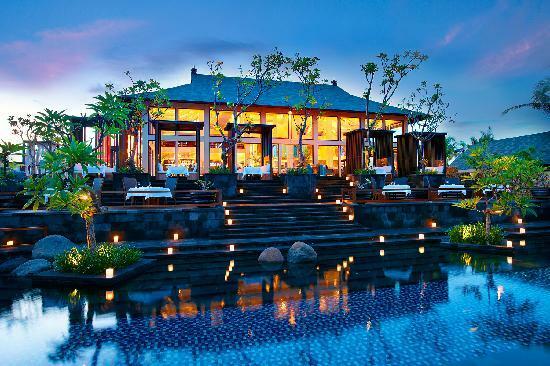 St Regis Bali Resort is located in Nusa Dua in the southern part of Bali, Indonesia and was opened in 2008. It covers nine hectares in size with 123 suites and villas. The St. Regis is one of Starwood Hotels & Resorts’ main luxury brands. 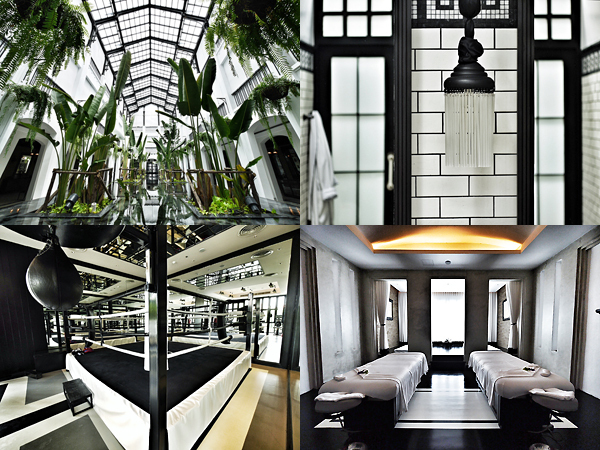 A superb feature of St. Regis Bali is Remède Spa. A romantic moon and butterfly theme runs through the spa’s interior spa suites delivering exclusive health and beauty experiences in an exquisite environment. There are also exterior gardens, and floating walkways and a koi fish pond. 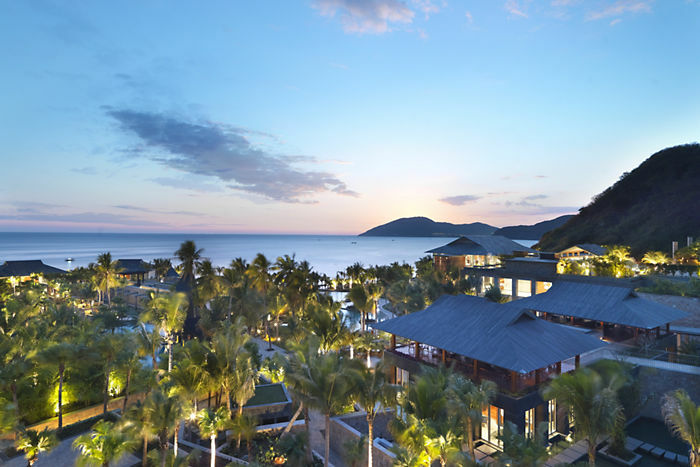 Mandarin Oriental, Sanya is located in Hainan, China. It is a tropical paradise home to miles of beaches and majestic mountains. It is set in 12 hectares of tropical gardens on the southern tip of the island. Mandarin Oriental has contemporary decor with ethnic touches and beautiful designs. It opened in 2009. Shinta Mani Club is an upscale hotel in Siem Reap, Cambodia. It features 39 contemporary designed rooms and public spaces in an Angkorian-inspired design. It is close to the Angkor Wat temples and was opened in 2013. Four Seasons on Koh Samui is located in Thailand. 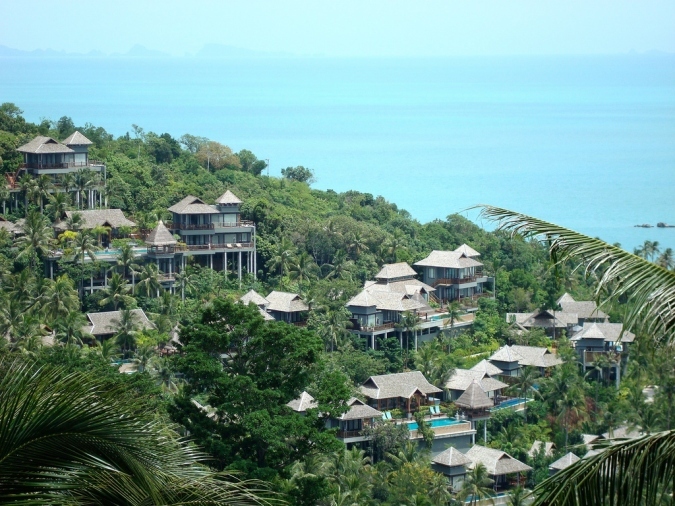 It has its own private bay on the northwest coast of Koh Samui and overlooks the Gulf of Siam. It has as an infinity-edged swimming pool and there are nearby beaches. It opened in 2007. The Siam Bangkok Hotel is a newest addition to the growing portfolio of independently owned and operated properties that make up Sukosol Hotels. The Siam property was, acquired it in 1973. Over the years the land was leased and when the leased expired, in 2005, the family considered various options for plot of prime riverfront land in the heart of Bangkok’s royal Dusit district. They contacted Bill Bensley to design the hotel’s Art Deco-Thai-fusion interior. 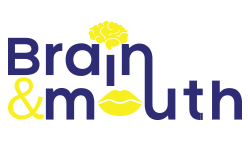 Commenting on The Siam, Bill stated, “My studio team has designed some 150 plus hotels and resorts worldwide and we have received many accolades. But I am most excited about The Siam, as I know it is going to turn heads on the competitive hospitality market of tomorrow.” The hotel opened in 2012. So how did Bill Bensley end up with such a stellar career? Ben Bensley has told his tale in many interviews. He stated that he had dialed a wrong number and ended up on the line with landscape architect Rocco Campanozzi. Initially Bensley had wanted to call the Fire Department for a high school career day project. “By mistake I called a landscape architect while attempting to call the Anaheim Fire Dept. Rocco, the landscape architect, gracefully came to my high school class and showed us his Knotts Berry Farm project and I was sold hook, line and sinker! I enrolled and never looked back. I knew I loved gardening and plants, and I was good at art, so it seemed like the perfect fit,” Bensley expressed giving an account about what had happened while he was in high school. Today, Bill Bensley has been mentioned as one of the world’s top 100 designers by both Time Magazine and Architectural Digest. His landscape design projects are highly commended and he is referred to as one of the greatest spa designer in Asia and even as “King of Exotic Luxury Resorts”.